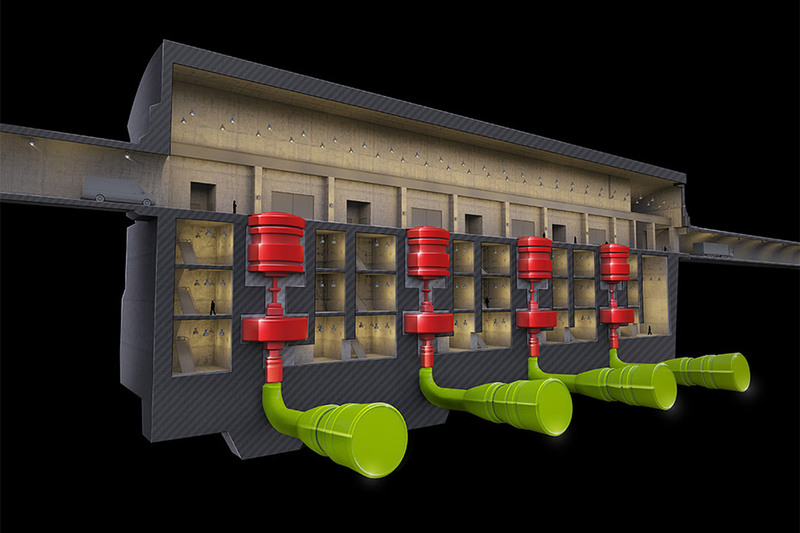 PSPP (Pumped storage power plant) Ipeľ | VODOTIKA, a. s.
The location of PSPP Ipeľ is situated in the northern part of Poltár district, in the upper part of Ipeľ stream – in the vicinity of a municipality Ipeľský Potok (the lower reservoir) and in the stream headwaters of Kokávka, in Ďubákovo municipality (the upper reservoir). The PSPP area belongs to the zone of Slovenské Rudohorie, divided by Ipeľ stream into separate units of mountains Veporské vrchy and Stolické vrchy. The study brings a technical solution of the hydraulic radius of the PSPP, including all selected construction objects, which are supposed to provide a technical up-to-date solution with all aspects, taking into account environmental protection. Hydraulic radius covers all objects, which provide the main water work function, i.e. 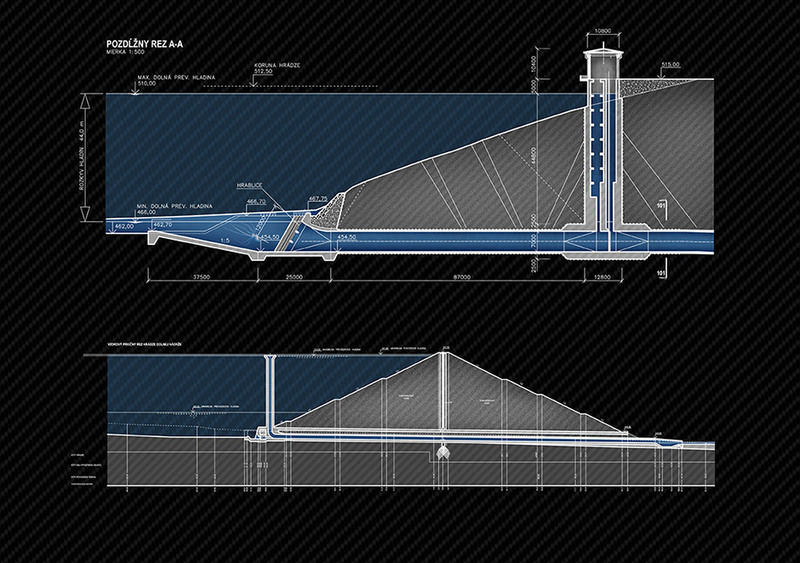 water accumulation in the upper reservoir (UR) and production of electricity in the underground power station, as well as water storage for future use in the lower reservoir (LR). 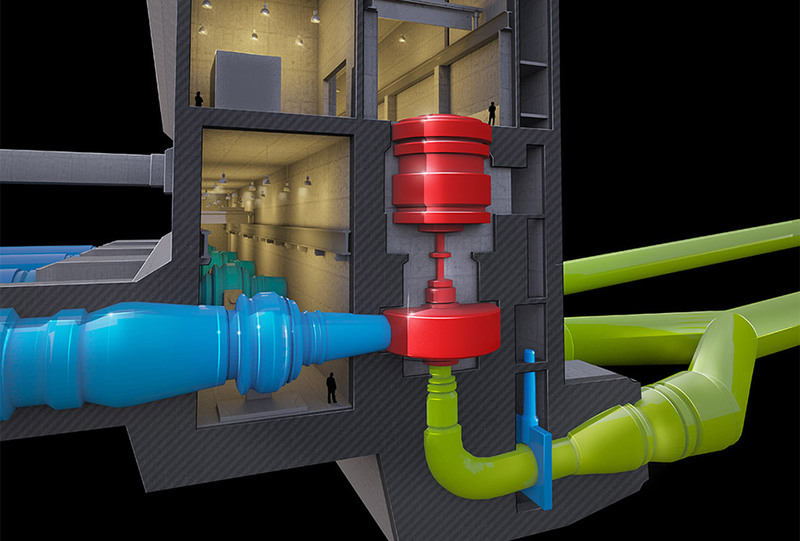 Some of these structures, an intake structure is located in UR, an outlet in the LR, the others (conduits, high-pressure closings, the PSPP engine hall and wastewater tunnels) are appropriately placed in the underground. The upper reservoir: UR is situated in the stream headwaters of Kokávka in the area of Ďubákovo municipality. 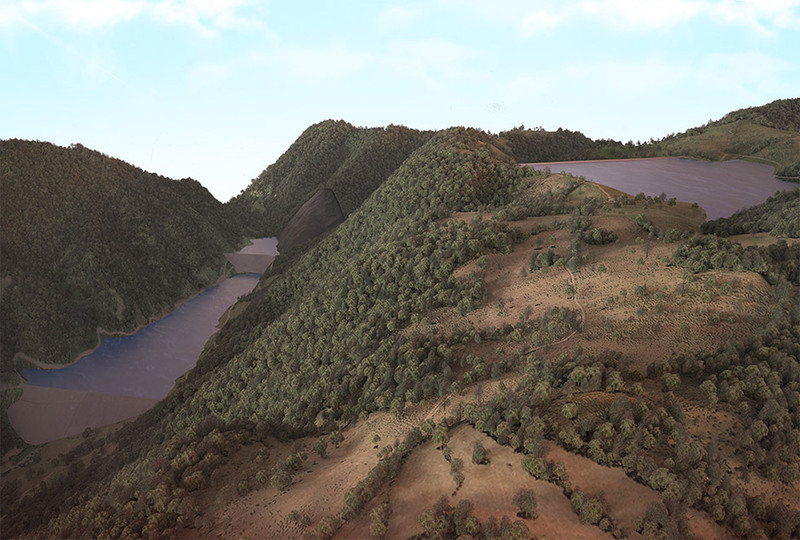 A flat round reservoir is to be constructed by building an embankment of the main valley and flat, side depression. 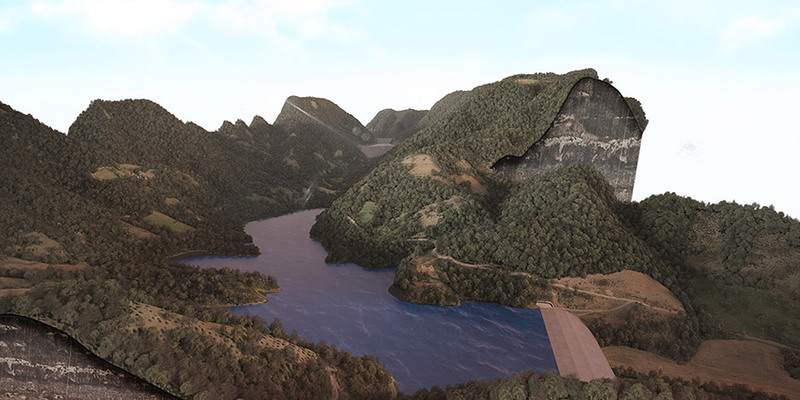 The HR maximum height above the terrain is 76 m and its crest length is 870 m.
The lower reservoir: LR is planned to be developed by a valley dam on the upper stream of Ipeľ river. The dam is designed as earth-made, backfilled with local materials. The asphalt-concrete sealing is internal. The dam has a security spillway against its overspill and an outlet for complete draining of the reservoir. These structures are integrated in one function object. Dam maximum height above the terrain is 75 m and its length is 650 m.